the Seto Inland Sea between Kagawa and Okayama prefectures. (spring, summer, and fall) and those participating in only one session (spring or fall). Takamatsu city, located in Kagawa, is a convenient base for reaching most islands. 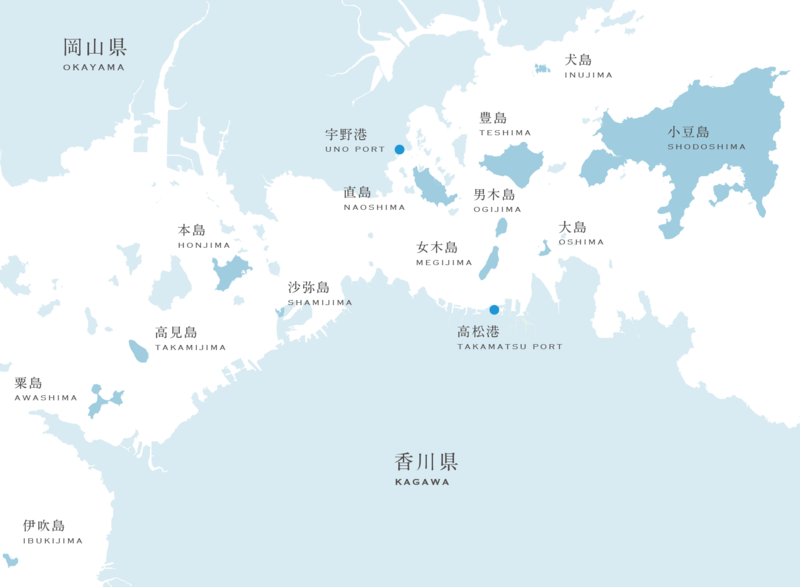 From Takamatsu Port, there are direct ferries to six of the islands that participate in all three Triennale sessions. There are also ferry routes to four islands from Uno Port. while ports on Shodoshima can also be reached by ferry from Kobe. can be reached conveniently by Japan Rail from Takamatsu Station. Of these, Honjima can also be reached by boat from Kojima Kanko Port in Okayama. to Sakaide Station and transferring to a bus, or by car to a parking lot just outside Shamijima. Please refrain from taking your car onto any of the islands except Shodoshima. but they disrupt the daily lives of islanders and cause traffic congestion. 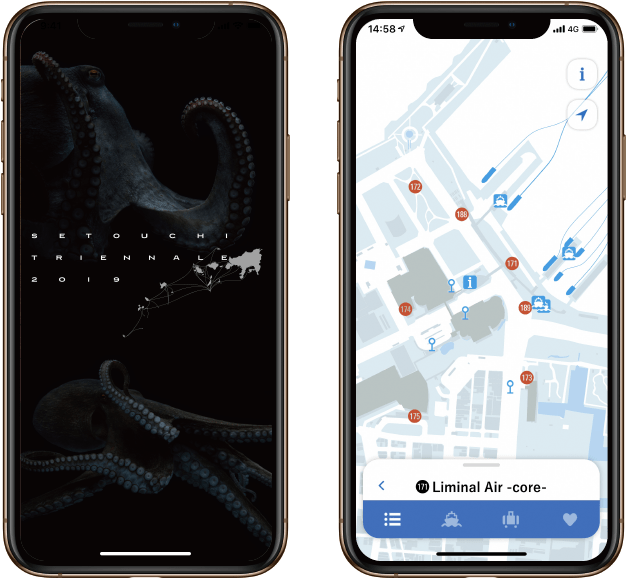 The free Triennale app is a great tool for looking up ferry and bus timetables, as well as routes to different artworks. 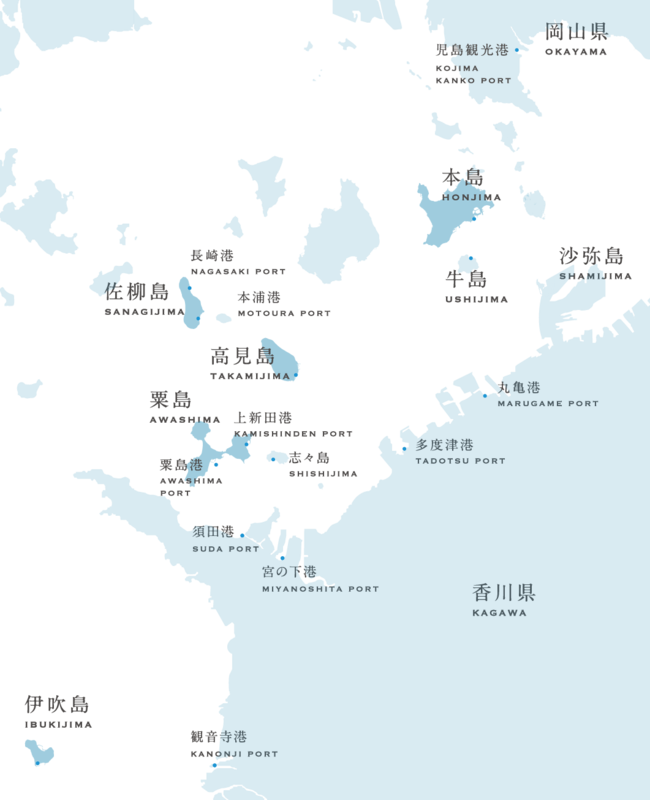 which is the closest to the Takamatsu Port General Information Center and ​​Takamatsu Port. the buses from TakamatsuAirport stop at the " Takamatsu Port General Information Center ". By Busappx. 7 - 10hr. By Airlineappx. 5 - 6hr. By Airlineappx. 6 - 7hr. Takamatsu is easily accessible by airplane via Haneda Airport (Tokyo International Airport) and Narita International Airport. Please check the Takamatsu Airport English website for flight details. 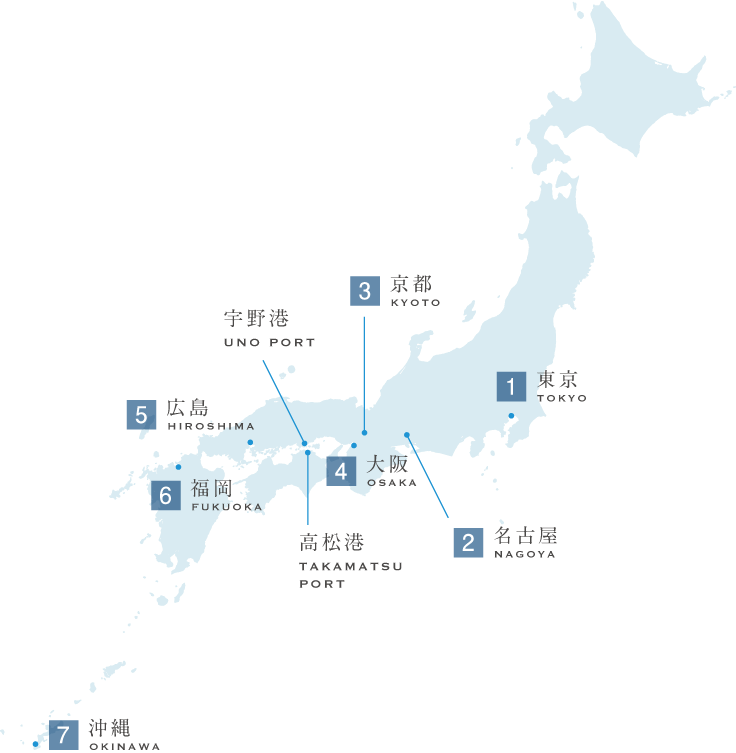 Each of the islands participating only in the fall session (Honjima, Takamijima, Awashima, Ibukijima) is accessed from a different port which is reached from a different train station. Shuttle buses are provided between the train station and ferry port. Shamijima, which is participating in the spring session only, is no longer an island and can be reached by bus from Sakaide Station on the Japan Rail line or by car from Takamatsu. Take the JR Yosan line from Takamatsu Station and get off at the closest station. Airport shuttle buses, timed to coincide with flight arrivals, run between Takamatsu Airport and JR Marugame and JR Sakaide stations. Shuttle buses run between each port and the closest train station.